Lord Mount Stuart in 1784, by Gainsborough Dupont. John Stuart, 1st Marquess of Bute PC, FRS (30 June 1744 – 16 November 1814), styled Lord Mount Stuart until 1792 and known as The Earl of Bute between 1792 and 1794, was a British nobleman, diplomat and politician who sat in the House of Commons from 1766 to 1776. 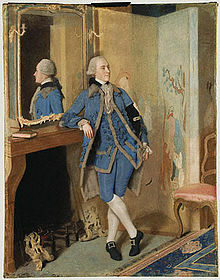 Portrait of Lord Mount Stuart at age 19 by Jean-Étienne Liotard, 1763. 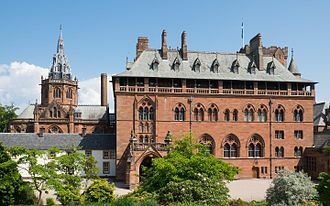 Stuart was born at Mount Stuart House on the Isle of Bute, the son of prime minister John Stuart, 3rd Earl of Bute, and his wife Mary Wortley Montagu. 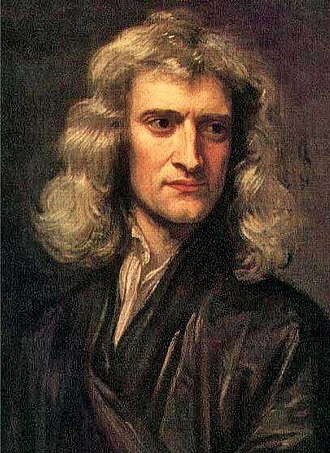 He was educated at Harrow School and Winchester College. 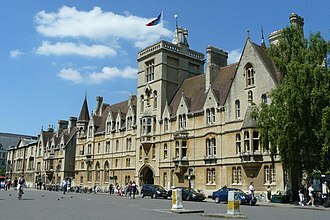 He went to the University of Oxford, where he had private tuition from James Bladen. The degree of D.C.L., awarded to him by the university in 1793, was honorary. Around 1757 Stuart began to be tutored by the philosopher Adam Ferguson. Lord Mount Stuart was returned as Tory Member of Parliament for Bossiney at a by-election in 1766. He was returned in the general elections of 1768 and 1774. On 2 November 1775 he announced in the House of Commons his intention to introduce a bill to establish a militia in Scotland, and during the next few months James Boswell assisted in seeking support for the bill in Scotland. In March 1776 the bill was debated, but ultimately failed to pass. 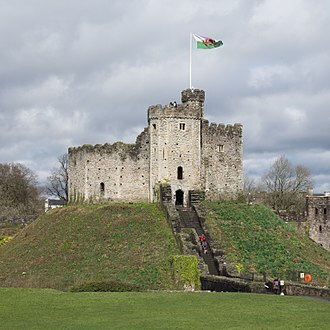 He left the House of Commons in 1776 when he was elevated to the Peerage of Great Britain in his own right as Baron Cardiff, of Cardiff Castle in the County of Glamorgan. Though this title was also used, he continued to be known by his courtesy title of Lord Mount Stuart. 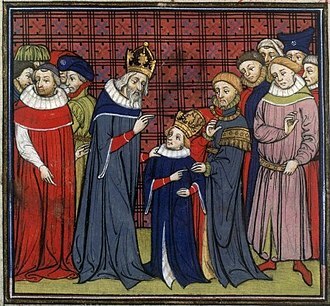 (He ranked higher in the order of precedence as the heir to an earldom than he did as a substantive baron.) He served as Lord Lieutenant of Glamorgan from 1772 to 1793 and from 1794 to his death. In 1779 Lord Mount Stuart was sworn of the Privy Council and was sent as an envoy to the court of Turin. He was ambassador to Spain in 1783. He held the sinecure of Auditor of the imprests from 1781 until the abolition of the office in 1785, upon which he was paid £7000 compensation. He was the first Lord Lieutenant of Buteshire from 1794 until his death. Lord Mount Stuart succeeded his father in the earldom in 1792. In 1794 he was created Viscount Mountjoy, in the Isle of Wight, Earl of Windsor and Marquess of Bute. (The Mountjoy and Windsor titles recognised the Barony of Mountjoy and Viscountcy of Windsor previously held by his father-in-law, the 2nd Viscount Windsor, which had both become extinct on Lord Windsor's death in 1758.) Lord Bute was inducted as a Fellow of the Royal Society on 12 December 1799. His second wife outlived him, and died on 12 November 1832. ^ John Robertson, The Scottish Enlightenment and the Militia Issue (Edinburgh: John Donald Publishers, 1985), pp. 83 and 96, n. 75. ^ C. Evans (ed. ), The Letterbook of Richard Crawshay, 1788-1797 (South Wales Record Society 6, 1991), p. 181. ^ McCahill, M.W., The House of Lords in the Age of George III (Chichester: Wiley, 2009), p. 17, n. 23. Glamorgan or, Glamorganshire is one of the thirteen historic counties of Wales and a former administrative county of Wales. 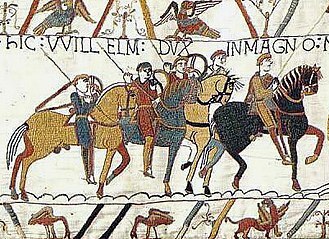 It was originally a medieval petty kingdom of varying boundaries known as Glywysing until taken over by the Normans as a lordship. Glamorgan is latterly represented by the three preserved counties of Mid Glamorgan, South Glamorgan and West Glamorgan, the name survives in that of Vale of Glamorgan, a county borough. After falling under English rule in the 16th century, Glamorgan became a more stable county, the county of Glamorgan comprised several distinct regions, the industrial valleys, the agricultural Vale of Glamorgan, and the scenic Gower Peninsula. The county was bounded to the north by Brecknockshire, east by Monmouthshire, south by the Bristol Channel and its total area was 2,100 km2, and the total population of the three preserved counties of Glamorgan in 1991 was 1,288,309. From 1974 Glamorgan contained two cities, the county town and from 1955 the capital city of Wales, the highest point in the county is Craig y Llyn which is situated near the village of Rhigos in the Cynon Valley. Glamorgans terrain has been inhabited by humankind for over 200,000 years, climate fluctuation caused the formation and reformation of glaciers which, in turn, caused sea levels to rise and fall. At various times life has flourished, at others the area is likely to have been completely uninhabitable, evidence of the presence of Neanderthals has been discovered on the Gower Peninsula. Whether they remained in the area during periods of cold is unclear. Sea levels have been 150 metres lower and 8 metres higher than at present, archaeological evidence shows that humans settled in the area during an interstadial period. The oldest known burial in Great Britain – the Red Lady of Paviland – was discovered in a coastal cave between Port Eynon and Rhossili, on the Gower Peninsula. The lady has been dated to c.29,000 years before present – during the Late Pleistocene – at which time the cave overlooked an area of plain. From the end of the last ice age Mesolithic hunter-gatherers began to migrate to the British Peninsula – through Doggerland – from the European mainland. Edward Wortley Montagu was an English author and traveller. He was the son of Edward Wortley Montagu, MP and Lady Mary Wortley Montagu, whose talent and eccentricity he seems to have inherited. In 1716 he was taken by his parents to Constantinople, and at Pera in March 1716-17 was inoculated for smallpox, on the return of his parents to England in 1718 he was placed at Westminster School, from which he ran away more than once. On the first occasion in July 1726, he was traced to Oxford and he decamped again in August 1727, and was not recovered for some months. Two similar escapades are mentioned by his tutor, chaplain to the Duchess of Kingston and he was sent to travel with a tutor in the West Indies, and afterwards with a keeper to the Netherlands. He made, however, a study of Arabic at Leiden. His father made him an allowance, and he was heavily encumbered with debt. He served in the British army from 1743-1748, first as a cornet in the 7th Dragoon Guards and he fought at the Battle of Fontenoy. He left the army in 1748 and he thereafter traveled in various parts for many years, writing brief diary notes of his travels along with occasional sketches, and finally returned to his studies in 1769. He was Member of Parliament for Huntingdonshire in 1747, and was one of the secretaries at the conference of Aix-la-Chapelle that closed the War of the Austrian Succession. He was cleared after the first court hearing before the decision was overturned by the Parlement of Paris and he continued to sit in parliament, and wrote Reflections on the Rise and Fall of the Antient Republics. His father left him an annuity of £1000, the bulk of the property going to his sister Lady Bute and he set out for extended travel in the East, and George Romney describes him as living in the Turkish manner at Venice. Fluent in Hebrew, Arabic and Persian he was an excellent orator and his family thought him mad, and his mother left him a single guinea in her will, but her annuity devolved on him at her death. He died at Padua in Italy, attribution This article incorporates text from a publication now in the public domain, Edward Wortley. The Parliament of Great Britain was formed in 1707 following the ratification of the Acts of Union by both the Parliament of England and the Parliament of Scotland. This lasted nearly a century, until the Acts of Union 1800 merged the separate British and Irish Parliaments into a single Parliament of the United Kingdom with effect from 1 January 1801. Following the Treaty of Union in 1706, Acts of Union ratifying the Treaty were passed in both the Parliament of England and the Parliament of Scotland, which created a new Kingdom of Great Britain. The Acts dissolved both parliaments, replacing them with a new parliament, referred to as the Parliament of Great Britain and it was not even considered necessary to hold a new general election. 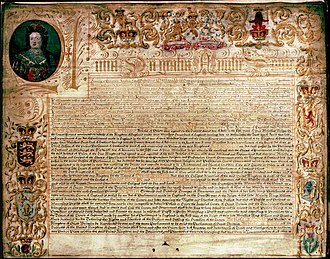 While Scots law and Scottish legislation remained separate, new legislation was thereafter to be enacted by the new parliament, after the Hanoverian King George I ascended the British throne in 1714 through the Act of Settlement of 1701, real power continued to shift away from the monarchy. John Stuart, 3rd Earl of Bute, KG, PC was a Scottish nobleman who served as Prime Minister of Great Britain under George III. He was arguably the last important favourite in British politics and he was the first Prime Minister from Scotland following the Acts of Union in 1707. A close relative of the Clan Campbell, Bute succeeded to the Earldom of Bute upon the death of his father, James Stuart, 2nd Earl of Bute, in 1723. He was brought up thereafter by his uncles, the 2nd Duke of Argyll and Archibald Campbell, 3rd Duke of Argyll, 1st and only Earl of Ilay, Viscount. Bute studied at Eton College and the University of Leiden, Netherlands, on 24 August 1736, he married Mary Wortley Montagu, bringing the large Wortley estates to his family. In 1737, due to the influence of his uncles, he was elected a Scottish representative peer, for the next several years he retired to his estates in Scotland to manage his affairs and indulge his interest in botany. During the Jacobite Rising of 1745, Bute moved to Westminster, upon the Princes death in 1751, the education of his son, Prince George, the new Prince of Wales, became a priority and in 1755 Bute was appointed as his tutor. Bute arranged for the Prince and his brother Prince Edward to follow a course of lectures on natural philosophy by the itinerant lecturer Stephen Demainbray. 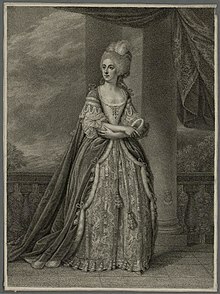 Furthermore, following the death of the Prince Frederick, Bute became close to his widow, Augusta of Saxe-Gotha and it was rumoured that the couple were having an affair, and indeed soon after John Horne published a scandalous pamphlet alluding to a liaison between Bute and the Princess. Rumours of this affair were almost certainly untrue, as Bute was by all indications happily married, in 1780 Bute was elected as the first President of the Society of Antiquaries of Scotland. Because of the influence he had over his pupil, Bute expected to quickly to political power following Georges accession to the throne in 1760. It would first be necessary to both the incumbent Prime Minister and arguably the even more powerful Secretary of State for the Southern Department. Re-elected as a Scottish representative peer in 1760, Bute was indeed appointed the de facto Prime Minister, bute’s premiership was notable for the negotiation of the Treaty of Paris which concluded the Seven Years’ War. Adam Ferguson, FRSE, known as Ferguson of Raith, was a Scottish philosopher and historian of the Scottish Enlightenment. Ferguson was sympathetic to traditional societies, such as the Highlands, for producing courage and he criticized commercial society as making men weak and unconcerned for their community. Ferguson has been called the father of sociology for his contributions to the early development of the discipline. His most well known work is his Essay on the History of Civil Society. It remains a matter of debate as to whether, at the Battle of Fontenoy, Ferguson fought in the ranks throughout the day, nevertheless, he certainly did well, becoming principal chaplain in 1746. He continued attached to the regiment till 1754, disappointed at not obtaining a living, he left the clergy, in 1759 Ferguson became professor of natural philosophy in the University of Edinburgh, and in 1764 transferred to the chair of pneumatics and moral philosophy. In 1767, he published his Essay on the History of Civil Society, in the mid-1770s he travelled again to the Continent and met Voltaire. His membership of The Poker Club is recorded in its book of 1776. In 1778 Ferguson was appointed secretary to the Carlisle Peace Commission which endeavoured, in 1780 he wrote the article History for the second edition of Encyclopaedia Britannica. The article is 40 pages long and replaced the article in the first edition, in 1783 appeared his History of the Progress and Termination of the Roman Republic, it became very popular and went through several editions. Ferguson believed that the history of the Roman Republic during the period of their greatness formed a practical illustration of those ethical and political doctrines which he studied especially, the history reads well and impartially, and displays conscientious use of sources. 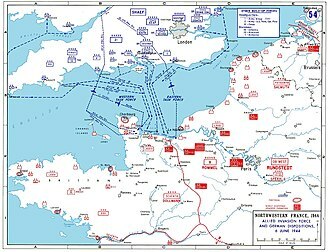 The influence of the military experience shows itself in certain portions of the narrative. Tired of teaching, he resigned his professorship in 1785, and devoted himself to the revision of his lectures, which he published under the title of Principles of Moral and Political Science. In the UK and Canada, the Commons holds much more legislative power than the respective upper house of parliament. The leader of the majority party in the House of Commons usually becomes the prime minister, since 2010 the House of Commons of the United Kingdom has had 650 elected members, and since 2015 the House of Commons of Canada has had 338 members. The Commons functions are to consider through debate new laws and changes to existing ones, authorise taxes and it has the power to give a Government a vote of no confidence. The House of Commons of the Kingdom of England evolved from an undivided parliament to serve as the voice of the subjects of the counties. Knights of the shire, elected from county, were usually landowners. These members represented subjects of the Crown who were not Lords Temporal or Spiritual, the House of Commons gained its name because it represented communities. After the Reformation, these bishops were those of the Church of England, since the 19th century, the British and Canadian Houses of Commons have become increasingly representative, as suffrage has been extended. Dudley Ryder, 2nd Earl of Harrowby KG, PC, FRS, styled Viscount Sandon between 1809 and 1847, was a British politician. He held office under Lord Palmerston as Chancellor of the Duchy of Lancaster in 1855, Harrowby was born in London, the son of Dudley Ryder, 1st Earl of Harrowby, and Lady Susan, daughter of Granville Leveson-Gower, 1st Marquess of Stafford. He was educated at Christ Church, Harrowby was elected Member of Parliament for Tiverton in 1819, a seat he held until 1831 before switching to represent Liverpool until 1847. He served as a Lord of the Admiralty in 1827 and as Secretary to the Board of Control under Lord Grey between 1830 and 1831, in a few months he was transferred to the office of Lord Privy Seal, a position which he resigned in 1857. He was made a Knight of the Garter in 1859, Harrowby was three times President of the Royal Statistical Society, chairman of the Maynooth commission and a member of other important royal commissions. He was regarded as among the most stalwart and prominent defenders of the Church of England, Lord Harrowby married Lady Frances, daughter of John Stuart, 1st Marquess of Bute, in 1823. Jean-Étienne Liotard, self-portrait, c. 1749 in his favourite medium of pastel. The full beard he wore after returning from Turkey was a considerable eccentricity in Rococo Europe. Satellite image of the Isle of Bute. To the west of Bute is the island of Inchmarnock and to the east are The Cumbraes. Royalist supporters, such as the Cavaliers, were referred to as tories during the Interregnum and Restoration period in Great Britain. Loyalist refugees on their way to the Canadas during the American Revolution. 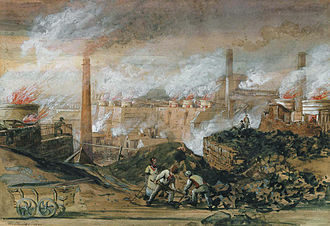 The loyalists helped establish the base of support for political cliques in the Canadas, locally referred to as Tories. Stephen Harper, 22nd Prime Minister of Canada and former leader of the Conservative Party of Canada. The Party is colloquially called the Tories in Canada. 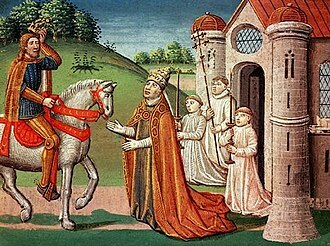 Lord Belasyse was the second Tory to lead a Ministry in Great Britain. Boswell's Edinburgh. In his journals he often mentions using the "Back Stairs" behind Parliament Close. 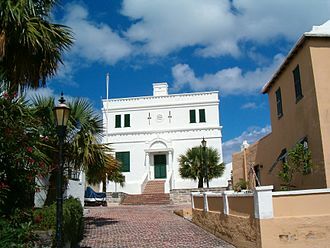 His birthplace was the family's town house on the east side of the close, just around the corner at the top of the steps. James Boswell by George Willison in Rome in 1765 Scottish National Gallery.